Recently, I was invited to speak at a networking event about LinkedIn — to a group of people who aren’t convinced of LinkedIn’s value. My initial reaction was to tell these naysayers that LinkedIn isn’t for everyone, but then I realized that would be the easy way out. 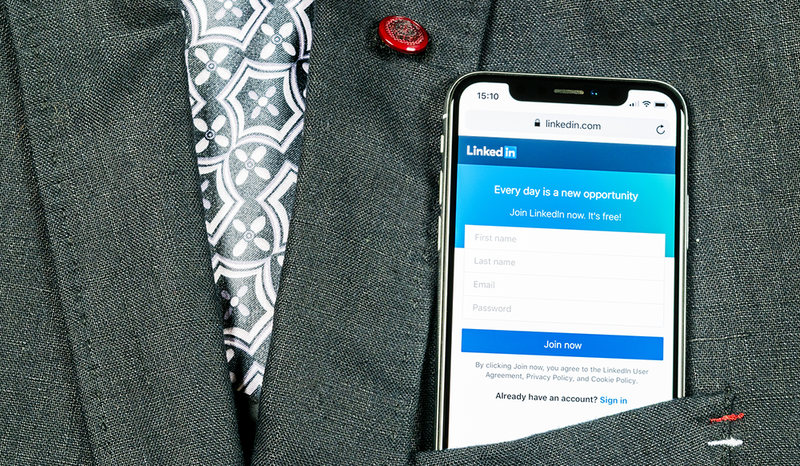 Given that 94 percent of recruiters use LinkedIn, a job seeker would be nuts not to get on the site and leverage it aggressively to look for employment. This is a common complaint, but the prospect of creating a LinkedIn profile should not break a person’s will. To get started, just copy and paste your resume into your profile. You can’t leave it at that, of course. A LinkedIn profile serves a different purpose than a resume, so it needs to be written differently as well. Take your LinkedIn summary, for instance. It is your chance to tell people a more in-depth story about yourself than you could on a resume. Use this section to talk about your passion for what you do, explain who you serve, and showcase what you do and how well you do it. I extended my training expertise by volunteering to train 5 office staff on our new database software. All members of the team were more productive as a result of my patient training style, increasing the team’s output by 75%. Quite honestly, posting an update once a day is not that hard to do. It’s as simple as commenting on a topic, sharing an article, posting a great quote, or just letting people know what you’re up to. For now, do what you can. Just make sure the content you share benefits your connections. Hogwash. LinkedIn allows users to download contacts from their email accounts. You just have to select the people you want to invite, and soon the connections will be rolling in. Someone has to initiate contact; it might as well be you. Note: I personally do not advise making connections this way. Instead, go to people’s profiles, read them carefully, and send personalized invites. This is a much more effective way to create meaningful connections. However, importing your contacts can be a good start, especially for those who are wary of LinkedIn. This is my favorite excuse to squash like a fly. When you’re young is the best time to start on LinkedIn. The site won’t offer you immediate gratification, but your initial investment will lead to a lifelong pursuit of networking. And for the older folks: I didn’t start using LinkedIn until I was in my mid-40s. In a short period of time, I’ve become quite well versed in it. Today’s 40s are yesterday’s 30s. This is a valid point. Some industries don’t use LinkedIn to network as much as others. However, there will certainly be people within your industry on LinkedIn. Think about managers, accountants, project managers — people in these roles work across a variety of industries, and many of them are on LinkedIn. While I may not be able to counter every excuse for not using LinkedIn, the five listed above are clearly toast. Hopefully, my debunkings will resonate with the attendees — and maybe with you, too, if you need a little convincing. This post originally appeared on Things Career Related.